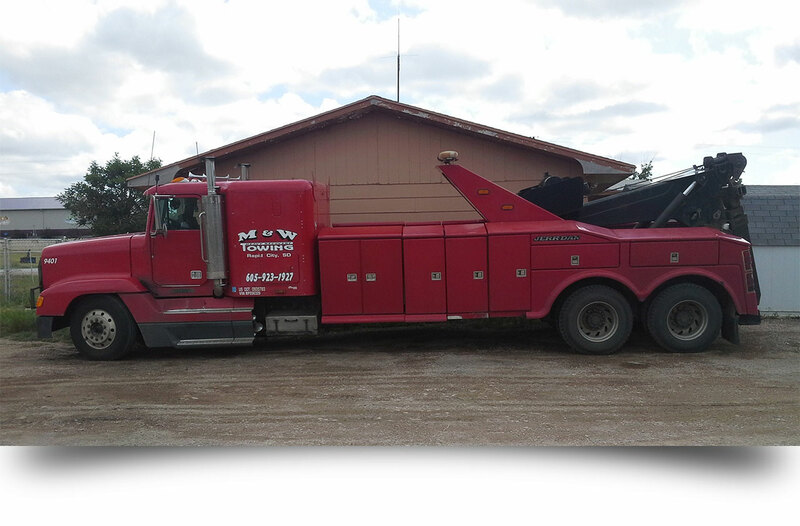 " Towing Rapid City the Professional Way with M & W Towing & Recovery Inc "
Welcome to M & W Towing & Recovery Inc. 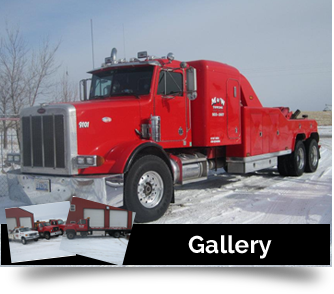 Welcome to our website here for M & W Towing & Recovery, Inc. Come in and look around to discover what this company can do for you. 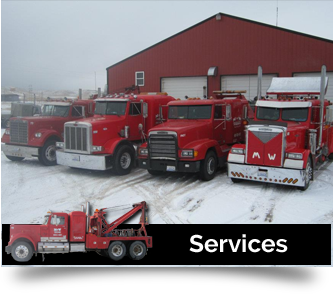 M & W offers all sorts of towing and recovery services to help people solve their issues. We are Mike and Wanda Irwin and we started this company in 2000. The company is based close to Rapid City, South Dakota. We do not just offer towing in the Rapid City area, but also the whole area of the Black Hills, which is a radius of about 250 to 300 miles. 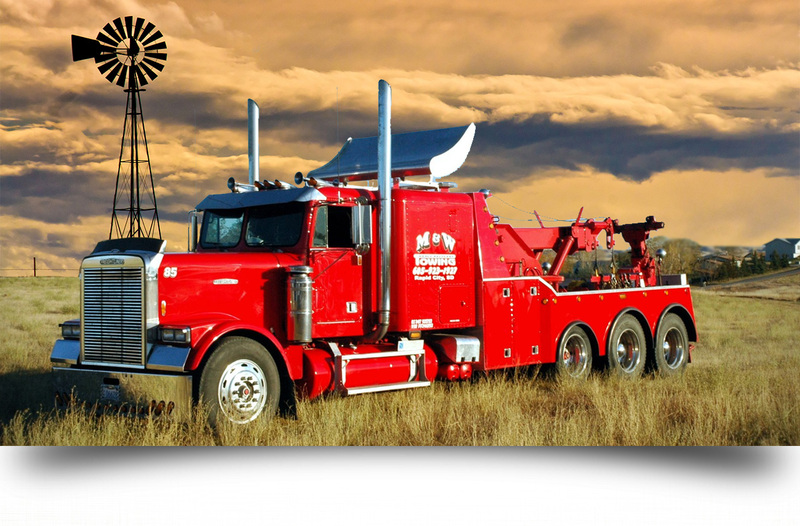 This area includes Western North Dakota, Northwest Nebraska, Southeast Montana, Northeast Wyoming and Western South Dakota, but we can transport your vehicle wherever you need us to take it. Whether you need simple roadside assistance for a broke down car or heavy equipment hauling, we are the company for you. 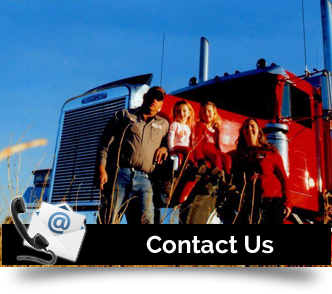 We provide drivers, who are certified by Wreckmaster and TRAA, and are also associated with the SD Professional Towing Association and the SD Trucking Association. This certification and association show you how well trained our drivers are to help you. For your convenience, we accept Visa, Mastercard, Discover, American Express, FleetOne Check, Comchek, Tchek, money orders and cash for payment. The price is based on individual needs, so it varies according to what type of vehicle is being moved and where it is going. Our main focus is providing you the help you need with your vehicle problems. Our service is provided in the timeliest manner possible and our personnel are always courteous and considerate of your needs. This service is available 24/7 both day and night. There is nothing too small or too large for us to tow. 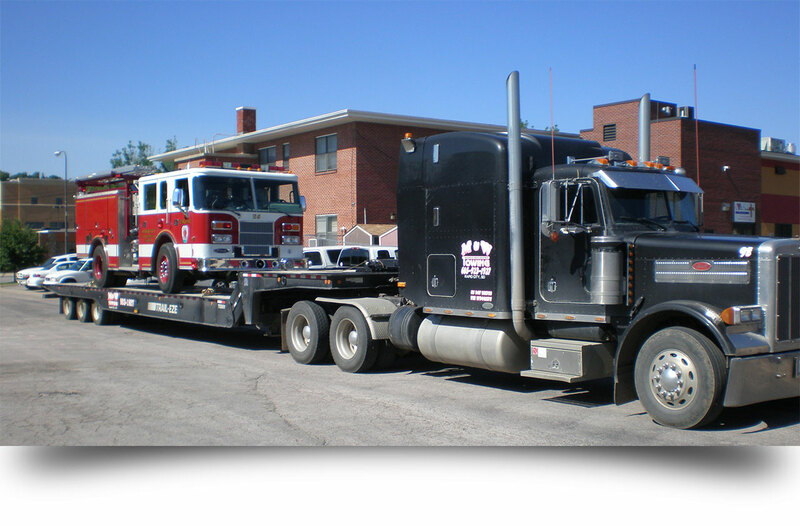 We are the solution to your towing and recovery situations. Call us at (605) 923-1927 or at 800-923-1927 for service. Our office hours are 8 AM to 5 PM Monday thru Friday and 8 AM to 12 PM on Saturday. There is further information on our company at About Us or you can click on Towing and Recovery to find a list of all of our towing services. Please check us out today to see how we will help you with your towing needs.